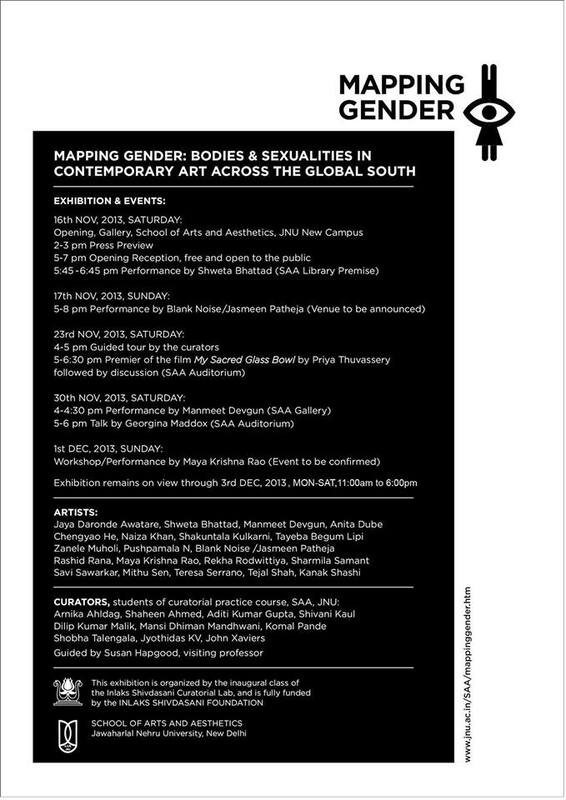 The School of Arts and Aesthetics at the Jawaharlal Nehru University, New Delhi, is combining form and content in ‘Mapping Gender‘, a rich new exhibition by its M.Phil. Visual Studies students. Using their study of curatorial practice and art forms, the students are putting up a carefully constructed exhibition showcasing issues of gender, patriarchy, violence, bodies, sexuality, and politics, and the constant interaction of these ideas, using the works of various artists from India, China, Kenya, Iran, Bangladesh, Pakistan, and South Africa. “Such an exhibition attempts to initiate a dialogue with the audience and relevant artists,” says Komal Pande, the student press representative of the project and an M.Phil. student at the university. 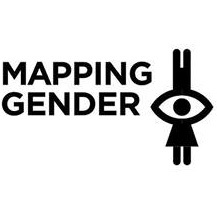 The event plans to use a variety of mediums like sculpture, painting, photography, and performance to explore several ideas of gender. For example, there will be a section that deals with fetishisation, the colonial notion of the fetish, and the gaze. These artists have reversed the gaze towards the self, exploring the changing impacts of art when this reversal occurs. Another section focuses on the body, depicted as a site of violence within hegemonic power structures like patriarchy. A third section relates gender to the sociopolitical context of caste, and talks about the lack of voice of Dalit women in particular. The final section addresses the idea of alternate sexualities, offering a critique of the framework of a heterosexual gender binary. The exhibition, which will be held from November 16 to December 3, is highly relevant in the context of current media furor over brutalisation of women across India. The project attempts to focus on voices and experiences that it believes are otherwise underrepresented. These students use the exhibition to look at the relevance and power of art to address concerns like gender in their social, cultural and political contexts. Is art capable of initiating direct social change beyond the level of discourse? These students believe that it is. “Our objective is to gender-sensitise people,” says Komal Pande. “It is not a neutral space where people walk in, see the exhibition and then leave.” The audience for this exhibition does not necessarily have to be a conscious, voluntary kind of audience that shares a particular academic interest. The performances that happen outside the gallery can involve members of the general public also. One of these performances involves an artist and volunteers from the audience interacting in a public space in a way thought not to be safe for women in that particular area. It will take place in a crowded area, pulling random passersby as well as voluntary audience members into a kind of interaction. The students and artists displace the idea that these dialogues take place in the same circles, and attempt to achieve gender sensitisation at a larger, more pervasive level. Click here for a detailed exhibition program. By Solo · Grant Morrison's Kill Your Boyfriend is brilliant because it is darkly humorous, satirical, and poetically unjust.